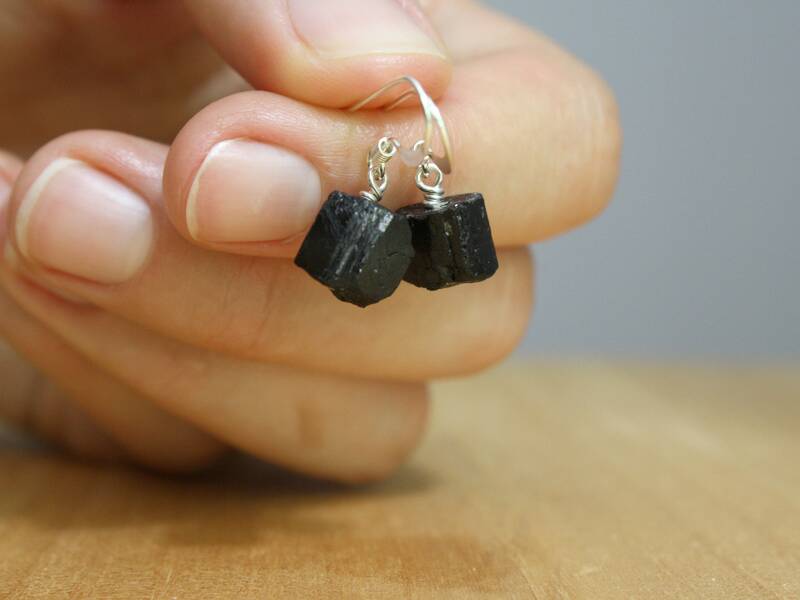 These natural stone earrings feature natural 10mm Black Tourmaline nuggets wire wrapped in Sterling Silver. 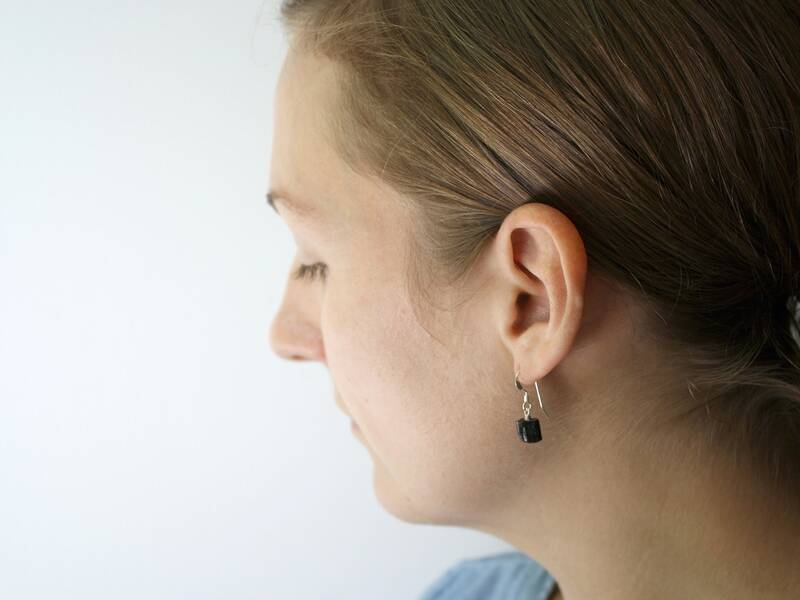 These healing stone earrings measure about 1 inch from the bottom of the drop to the top of its Sterling Silver french style ear wire. 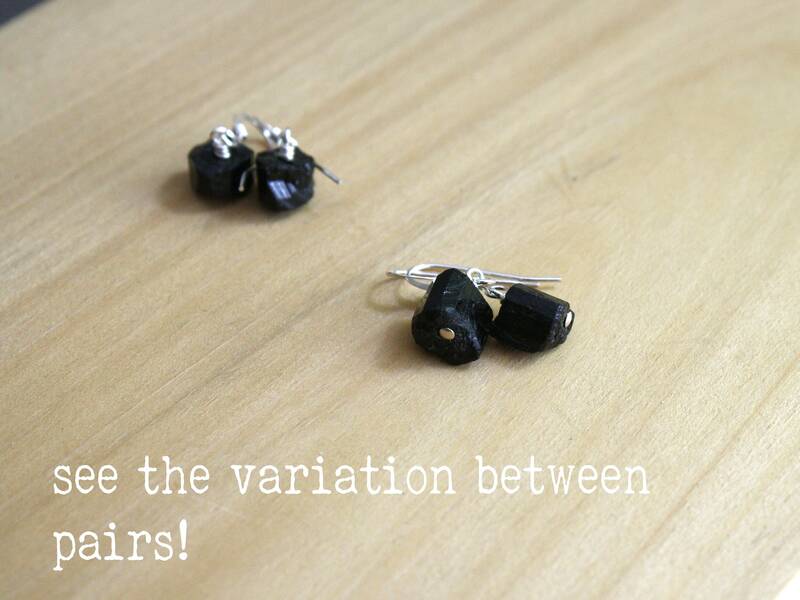 Stone Properties: Black Tourmaline is the stone of protection. 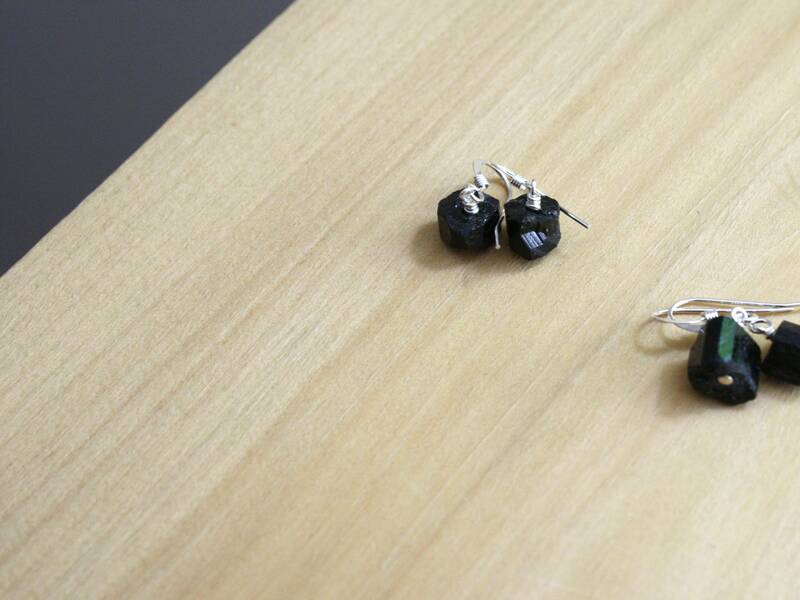 It has strong grounding energies while emitting a sense of security. Message me with the details and I'll see what I can do!